Crescent Plastics are the custom extrusion experts. No one does custom extruded plastic shapes and custom tubing like we do. All our products are tailored to our customers’ unique design specifications. No matter what sort of material handling equipment you’re working with, we can produce the perfect custom extrusions for your needs. 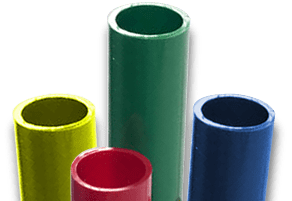 Working with a variety of thermoplastic materials, we can produce custom extrusions in almost any shape, no matter how simple or complex the geometry may be. We can produce custom tubing as small as 0.188” in diameter and custom plastic profiles up to 20” wide and larger. Contact Crescent Plastics today to get started on custom extruded plastic shapes for your material handling application. Our engineers are available to provide design assistance at any point in your product development cycle. Whether you’ve got a complete, functional prototype or nothing more than a rough sketch, we can step in and help you turn your design concept into a tangible custom extrusion. Our team will work with you to determine the best material(s) to use, to develop design improvements for improved manufacturability, and to reduce the time and cost associated with producing the extruded plastic shapes you need. We can provide 3D printed samples for fit, form, and function testing. DFM (design for manufacturing) methodologies help us ensure superior quality and production efficiency. We have complete, in-house tool and die making capabilities, which help us minimize costs and production time, and guarantee the quality and accuracy of our custom extrusions and custom tubing. Our DFM processes further improve efficiency, and value-added services like pad printing, part ID number printing, punching, drilling routing, assembly, kitting, and packaging will help you get your product to market more quickly. We use innovative extrusion technology and production equipment to produce our custom extrusions. Our capabilities enable us to maintain required tolerances and complex geometries that cannot be achieved by other methods.